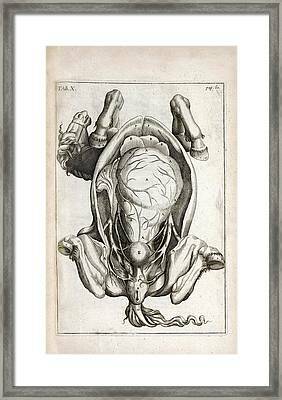 Pregnant Horse Anatomy is a photograph by National Library Of Medicine which was uploaded on July 24th, 2016. 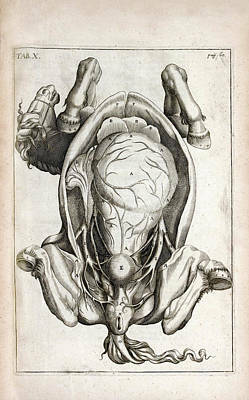 Pregnant horse anatomy. 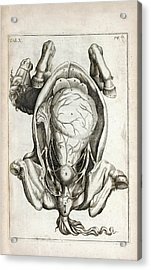 17th-century illustration of a dissected pregnant horse, showing the distended uterus containing the foetal foal. The bladder and blood vessels are also shown. 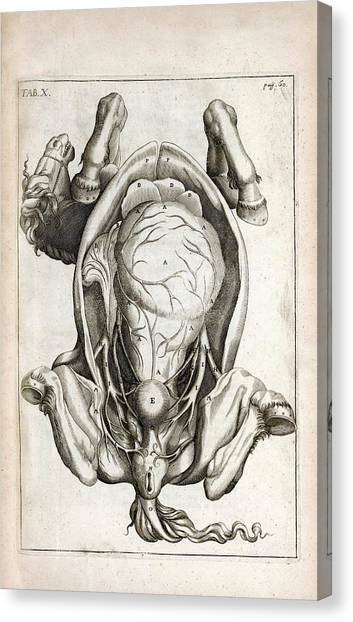 This artwork is from 'The Anatomy of an Horse' (1683) by Andrew Snape (1644-1708), farrier to King Charles II. This work is considered one of the most comprehensive and beautifully illustrated books about the horse published in Britain in the 17th century. Topics covered included equine anatomy, physiology and reproduction. 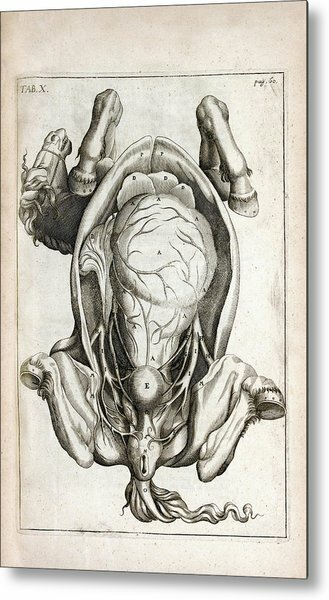 The book contained 49 copperplate engravings, some based on Carlo Ruini's 1598 anatomical work 'Anatomia del Cavallo'. There are no comments for Pregnant Horse Anatomy. Click here to post the first comment.